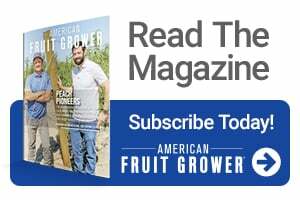 It was a bit of a “Wow” moment recently for University of California Cooperative Extension’s (UCCE) Franz Niederholzer, who decided to develop a chart from the California Department of Food and Agriculture’s almond acreage statistics. 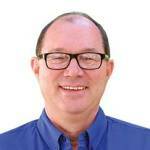 So he posted the chart he came up with on “The Almond Doctor,” a blog hosted by his UCCE colleague, David Doll. The chart showed — in quite literally graphic terms — just how much the ‘Independence’ almond variety had taken the industry by storm. 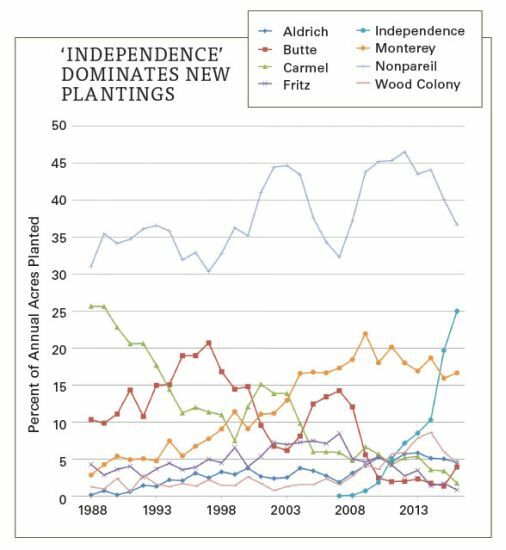 By 2016, the most recent year available, ‘Independence’ represented one-quarter of all plantings, and the trend line showed no sign of slowing. And this in an industry where there are already 300,000 nonbearing acres. 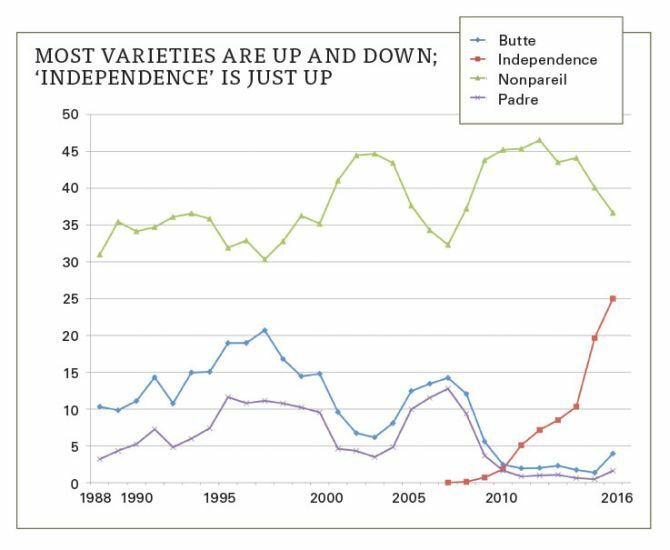 There are other interesting takeaways from the charts Niederholzer prepared, such as the fact that the percentage for ‘Nonpareil,’ the industry’s flagship variety, appear to follow the popular ‘Butte’/’Padre’ combination. While nowhere near as valuable as ‘Nonpareil,’ ‘Butte’/’Padre’ is much easier to farm, and when the price premium is not so great on ‘Nonpareil,’ the combination gets mighty attractive to growers. But no question what sticks out is ‘Independence,’ which was so named because it is self-fertile, and doesn’t need the pollenizing varieties almost all other almond varieties require. Pollination is a grower’s single most expensive activity, 24% of cultural costs, from bloom to hull split. But ‘Independence’ has other advantages, notes Niederholzer. Grant Zaiger of Zaiger Genetics in Modesto, CA, who made the cross that was to become ‘Independence’ with his dad, Floyd, says even he was surprised by Niederholzer’s charts. However, he notes new varieties will be coming down the road in the future.